TOTAL MOUTH coconut toothpowder is made with maximum strength ingredients. 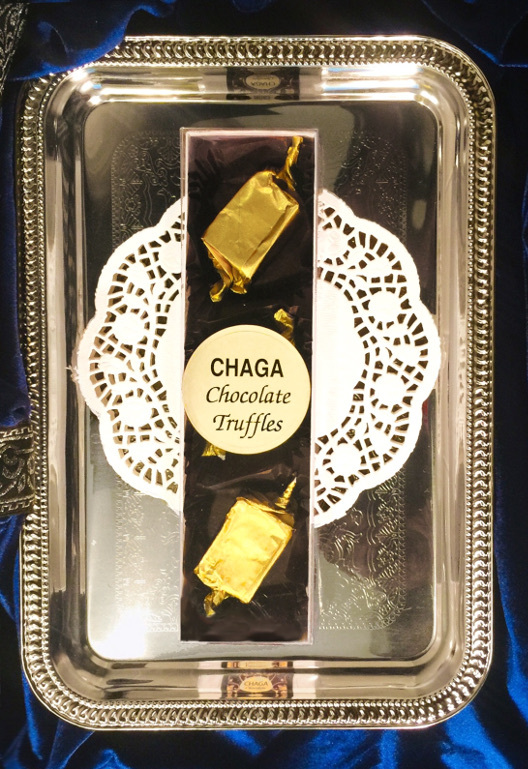 Chaga mushroom has immune boosting effects, contains melanin, Ergosterol. ( Needed to build skin, bone, teeth, & hair cells) , rich in betullinic acid. 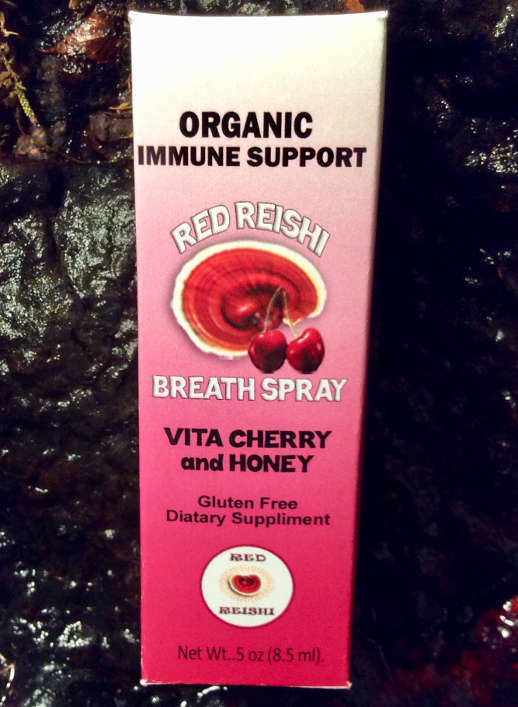 Red Reishi healing prooerties: Helps stop bleeding & swillen gums. 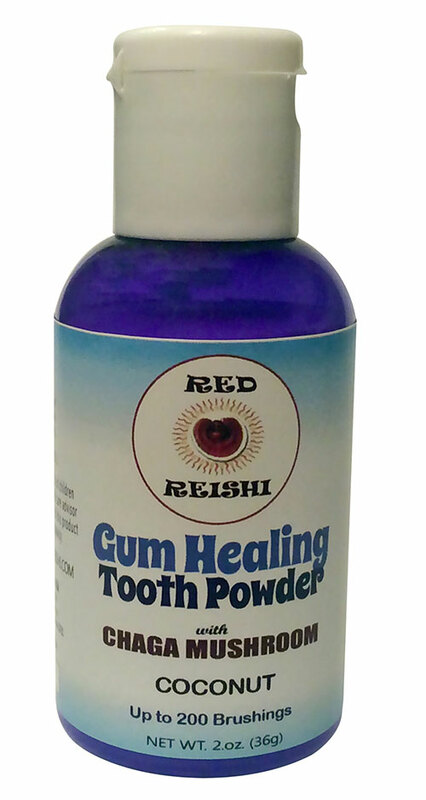 DAILY toothpowder with Red Reishi & Mint has the toothpowder power combination of ingredients. GUM HEALING coconut toothpowder with chaga mushroom powder & coconut oil powder has excellent healing properties. 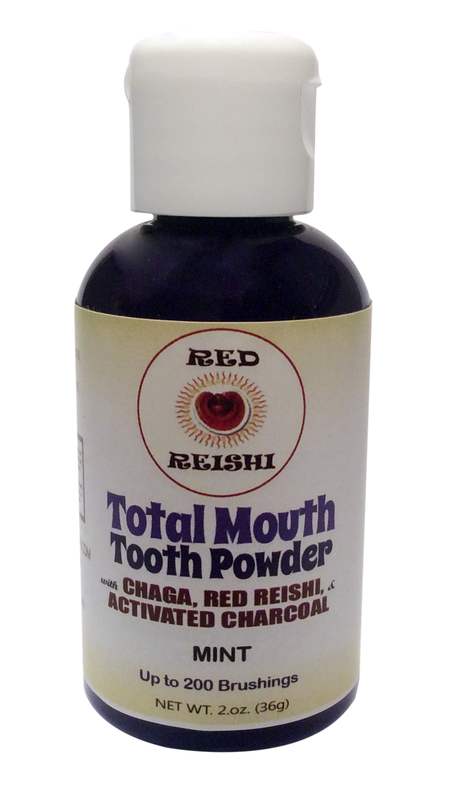 WHITENING mint toothpowder contains Chaga mushroom powder , Red Reishi mushroom, organic free aluminum baking soda.& Neem. A natural whitening. We hope that you will explore all of our wonderful Red Reishi products and fall in love with this “Musroom of Imortality”! FOR HEALTHY LIPS, TIPS & TOOTSIES!! For healthy lips,tips, and tootsies ( Lips, fingernails & toenails). 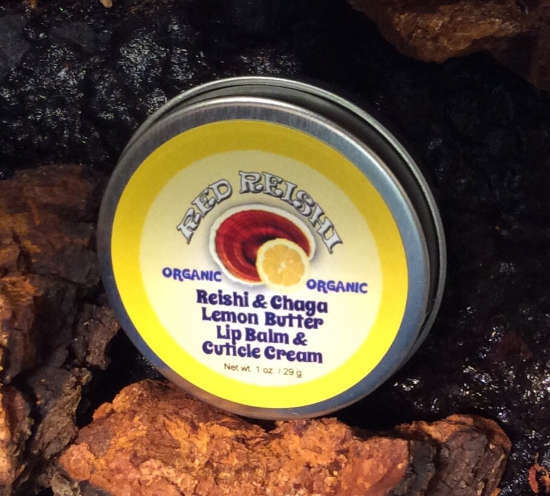 Our organic lemon lip balm with healing RED REISHI & CHAGA mushrooms, is loved by many for its rich, nourishing, hydrating qualities as well as it’s delicious lemon scent. Made with ultra fine, all natural & organic, & proven ingredients. This cream will deeply condition lips and nails and soften dry lips and skin. Simply massage the cream into the area you wish to treat & VIOLA! 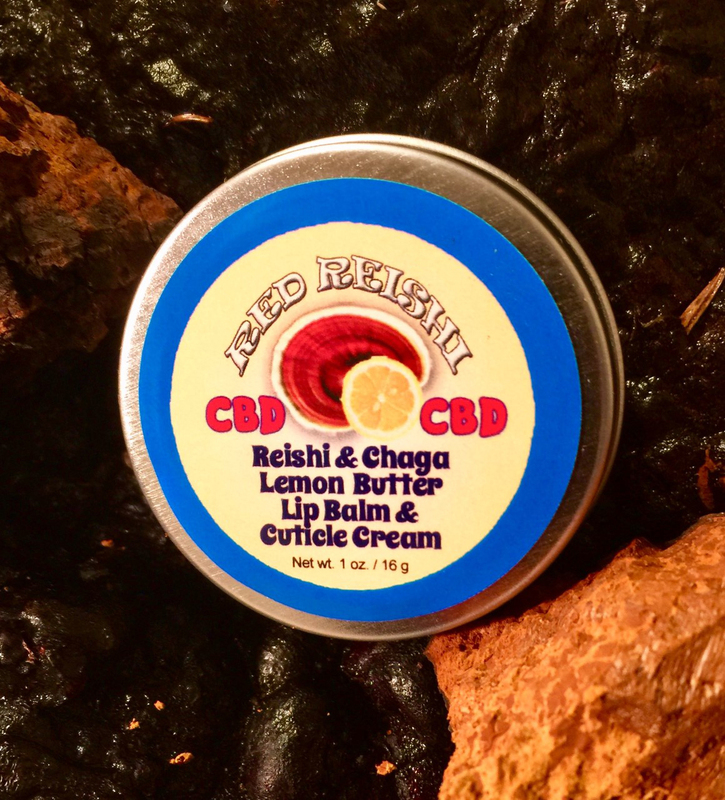 Beautiful healthy lips & skin with the power of RED REISHI & CHAGA !! If your using a regular toothpaste.Please, break up with it. And, read the label to the toothpaste compared to toothpowder. One reason to break up with toothpaste is the FLUORIDE. FLUORIDE lowers your IQ. Harvard study has shown .While additional research has associated it with weak bones, thyroid suppression, lowered metabolic function & dementia . Glycerin is used in almost all toothpaste, because it helps create a pasty texture and prevents it from drying. Glycerin can also coat the teeth in a way that prevents normal tooth remineralization. SLS is a flaming agent & detergent that is commonly used in toothpaste, shampoo,& other products used to do things like, um, degrease car engines. Our homemade toothpowder’s and its ingredients are based on your needs. 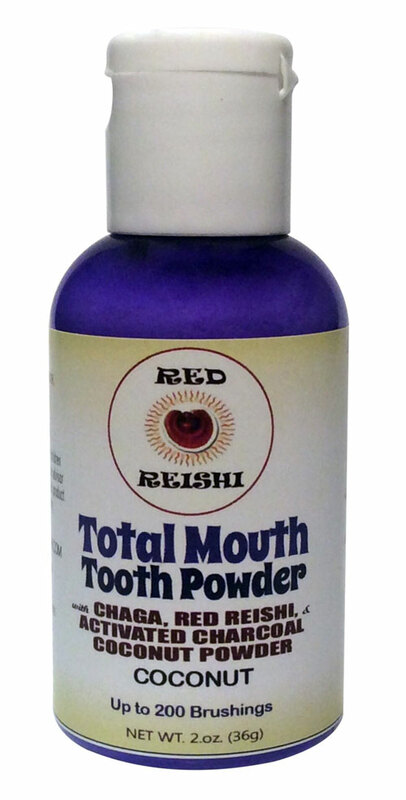 If you want to focus on stains.Try our “ TOTAL MOUTH” TOOTHPOWDER. If you have very sensitive teeth . You might want to skip the organic aluminum free baking soda. Baking soda is a mild abrasive tooth polish that helps mechanically remove stains while other ingredients such as ; clay & activated charcoal draw them out. It also helps freshens breath. 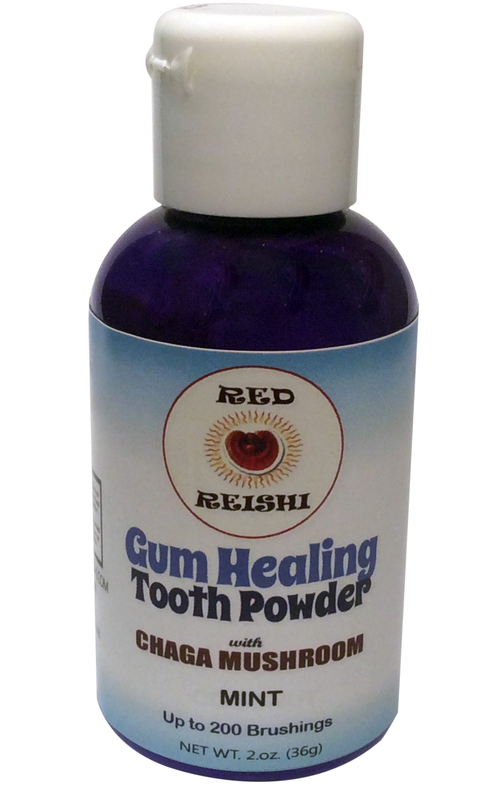 RED REISHI uses Bentonite Clay in our “ GUM HEALING “ TOOTHPOWDER. Bentonite Clay is a gentle cleanser that is rich in minerals which support tooth remineralization. It’s detoxifying properties help freshen breath and fight gum disease, while it’s absorptive properties help remove stains from teeth. SEA SALT contains 60 + trace minerals that aid in tooth remineralization. Salt is also highly antiseptic, which helps keep bacteria in check. Feel free to browse through our RED REISHI products. Always, eat & stay HEALTHY!! #1 CONTAINS ORGANIC CHAGA & REISHI MUSHROOMS . BOTH MUSHROOMS HAVE BEEN USED BY THE CHINESE FOR THOUSANDS OF YEARS TO PREVENT AND REMEDY MANY AILMENTS INCLUDING: BOOSTING THE IMMUNE SYSTEM, CARDIOVASCULAR HELP, SUPPRESSES THE PROGRESSION OF CERTAIN CANCER CELLS, MAY HELP DECREASE STRESS. MAYBE USED TODAY IN HELPING REDUCE THE INFLAMMATORY PROCESS. 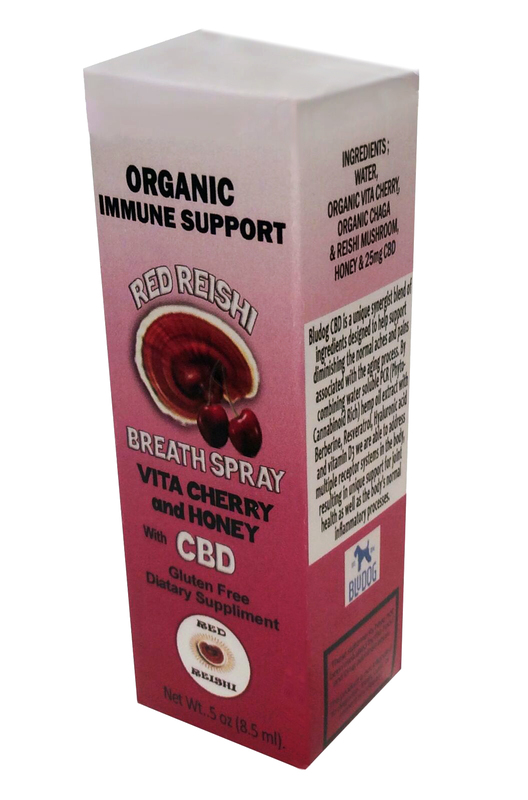 #2 CHERRIES MAY SUPPORT BRIAN HEALTH BECAUSE OF THEIR HIGH ANTHOCYANIN CONTENT, WHICH HAS BEEN SHOWN TO IMPROVE COGNITIVE BRAIN FUNCTION , MEMORY,BLOOD PRESSURE & REDUCES INFLAMMATION.MAY ALSO FIGHT PREMATURE AGING. #3 THE MELATONIN CONTENT IN TART CHERRIES MAY ASSIST IN REGULATING THE BODYS SLEEP CYCLE. A 2010 STUDY PUBLISHED IN THE JOURNAL OF MEDICINAL FOOD, FOUND THAT DRINKING 8 OUNCES OF CHERRY JUICE FOR TWO WEEKS, IMPROVED THE SLEEPING HABITS OF OLDER ADULTS WHO SUFFERED FROM INSOMNIA. 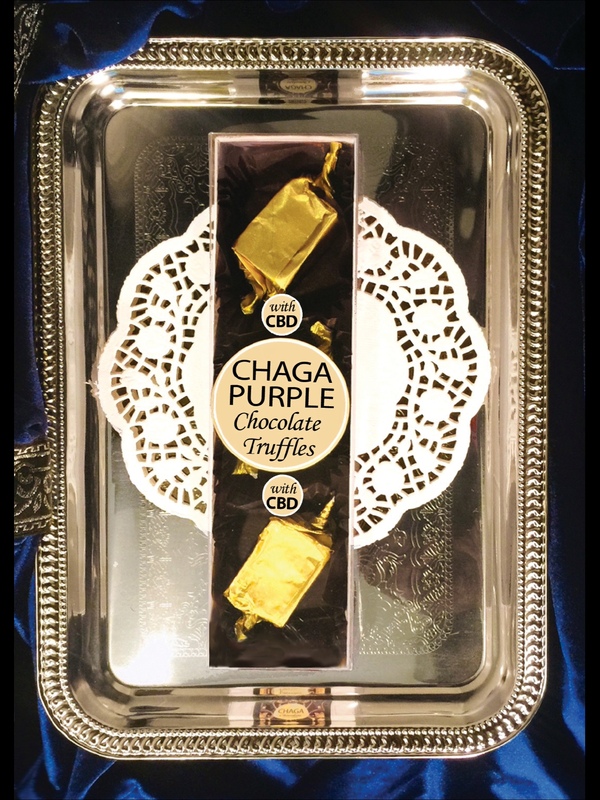 CONTAINER SIZE : .5 oz 8.5 ml. USE : Spray in mouth. Can be taken with food or without, on an empty stomach, or as recommended by your healthcare advisor.Consult your healthcare advisor regarding the use of this product during pregnancy .Keep out of reach of children. Lemons are full of Vitamin C & Flavonoids, that may boost the immune system by neutralizing free radicals. Due to ; their acidity they may balance PH in the body. According to the Reams Biological Ionization Theory ( RBTI), lemon is anionic, (an ion with a negative charge) which provide all cell energy. Cordecyps is one of the valued medicinal fungi in Chinese medicine, and among the most potent. CORDYCEPS contain water- soluble polysaccharides that work to stimulate the cells of the immune system. 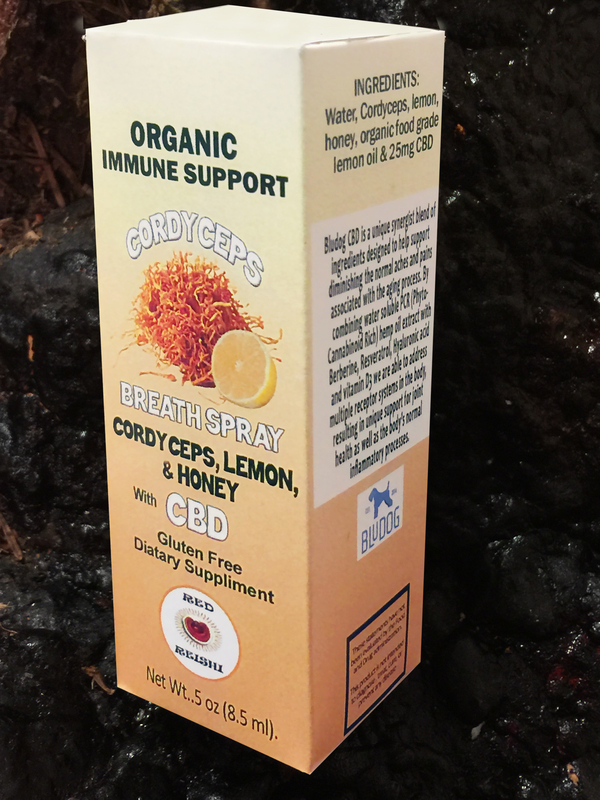 Traditionally, CORDYCEPS have been used as kidney purifier, and to treat pneumonia, chronic bronchitis, pulmonary emphysema, and tuberculosis.Recent studies indicate that CORDYCEPS helps to protect the kidneys from toxicity, lower high cholesterol levels, treat impotence, inhibits tracheal muscle contractions, and relaxes the airways.Cornell University researchers found that an extract of CORDYCEPS supported the function of helper T – cells by protecting them against immune-suppressing invaders. USE : Spray in mouth. Can be taken with food or without, on an empty stomach,or as recommended by your healthcare advisor.Consult your healthcare advisor regarding the use of this product during pregnancy .Keep out of reach of children. Phyllis A. Balch,CNC,Title : Prescription for DIETARY WELLNESS – SECOND EDITION copyright1992,1998,& 2003. In 1992 , the U.S. National CANCER institute ,along with the Japanese National Institute of Health,reported that maitake extract exhibited anti- HIV activity. Maitake’s anti -HIV effect prevents the HIV virus from destroying the T cells. Extensive testing of Maitake on CANCER patients has shown a dramatic reduction of tumors and other symptoms. 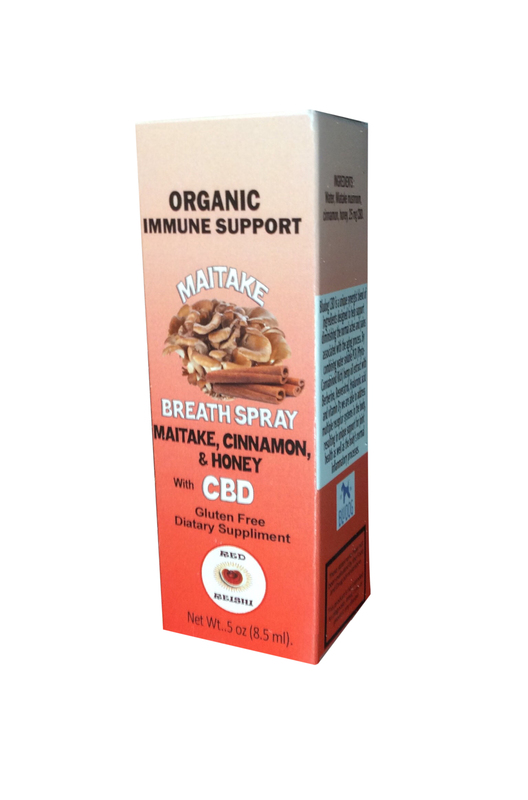 In one study , the side effects of chemotherapy ( vomiting, loss of appetite ,hair loss) were improved in 90% of the patients using Maitakes. Research has further confirmed Maitake as an effective remedy for high blood pressure, diabetes, rheumatoid arthritis, high cholesterol, cardiovascular and liver disorders, candida, constipation, and obesity. 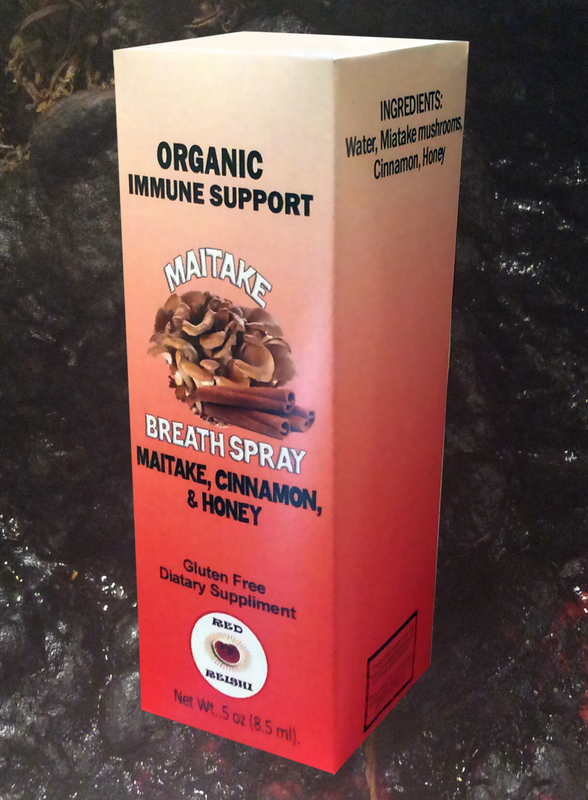 In addition, Maitake helps regulate endocrine functions. Current research is focusing on using Maitake to treat Alzheimer’s disease, osteoporosis, chronic fatigue syndrome, and hair loss. (Inonotus Obliquua) A fungus in Hymenochaetaceae family. 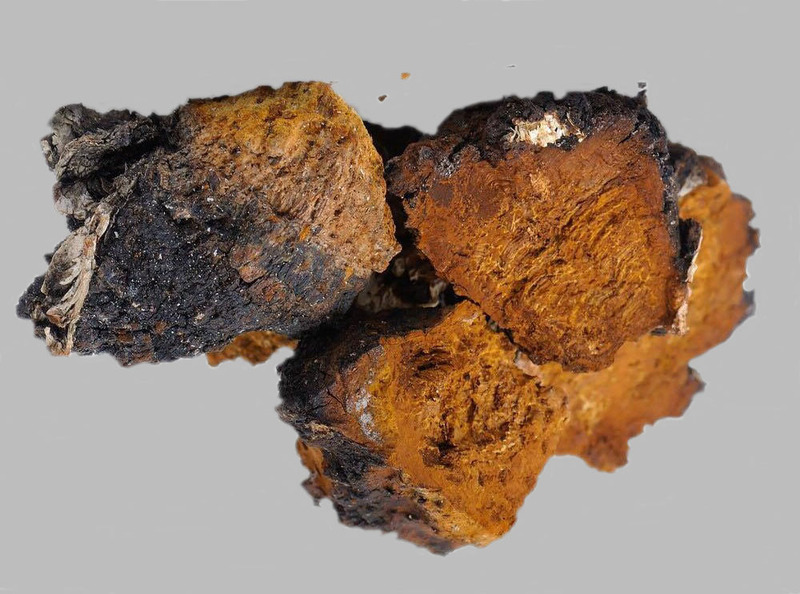 Chaga is reported to be one of nature’s oldest documented and most revered herbs. Touted for centuries throughout Asia as ” The King of Herbs” and “A Gift from God,”. Undoubtedly there are many benefits to consuming Chaga, the most notable being that Chaga has shown to kill certain cancer cells without harming healthy cells.